As of late, the tech mammoth Apple discharged the official rendition of the iOS, obviously, iOS 12 for general society. Early introductions have been extremely positive and indeed, the tech mammoth Apple has presented a quick operating system with new highlights and making more seasoned iPhones and iPads look new. Nonetheless, nothing is flawless as of late two new recordings created the impression that demonstrate a man bypassing the lock screen of an iPhone, to get to the telephone directory and even to send messages. With each new form of iOS that the tech goliath Apple builds up, the Cupertino organization, obviously, the tech monster Apple endeavors to make the operating system more secure. For instance, with iOS 12, the organization, obviously, the tech mammoth Apple has enhanced USB Restricted Mode which keeps the foundation of associations when the gadget is locked. As of late, Jose Rodriguez, known by videosdebarraquito on the YouTube stage, has posted new recordings where he uncovered a security opening in iOS 12 of the tech mammoth Apple, which enables you to experience the lock screen and play out specific activities that may trade off clients' protection. The procedure isn't straightforward and it isn't in every case clear what the subsequent stage is. Notwithstanding, it is seen that at the base of the procedure is the VoiceOver usefulness. 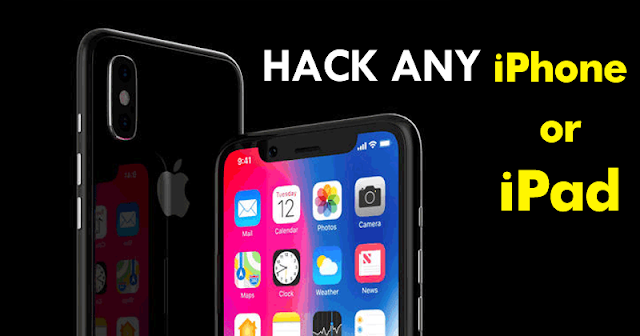 So on the off chance that you truly need to get to a locked iPhone or iPad, simply watch the video and attempt to duplicate the means.